HR digital transformation is a hot topic for many HR professionals. And for good reason, since digital technology has the potential and ability to transform HR as we know it. But while it’s one thing to talk about digital HR transformation, it’s an entirely different thing to do it! In today’s article, we dive deeper into the phenomenon of HR digital transformation: what is it, why is it necessary and how do you go about it? Unilever is radically changing its hiring process. The company is experimenting with – among other things – social media, online games, and AI to further digitalize how they are recruiting. Another example comes from Jeanne Meister who talks about Cisco. The company organizes hackathons to build new HR products – such as the YouBelong@Cisco app and Ask Alex. The former is meant to help new hires and their managers during their onboarding period and the latter is a voice command app that gives quick answers to various HR questions about holiday policy, expenses, etc. If you saw the must-read article we mentioned above, you may have come across an interview by Evgenia Bereziuk with Soumyasanto Sen. They spoke about HR digital transformation and Sen mentioned relevant research done by Brian Solis for Cognizant and Altimeter. By the time we get to the sixth and final stage of a digital transformation, the mindset of the organization – or actually that of those who are in it – has shifted completely. As a result, the company benefitted from reduced time to pull operational reports, easier access to business intelligence and improved employee engagement as well as satisfaction. Not a bad digital HR transformation score, right? 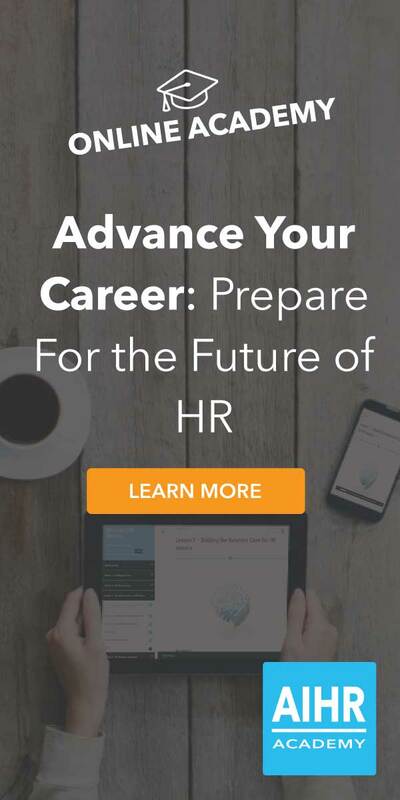 When you are ready to initiate the HR digital transformation at your organization, the Digital HR Certificate Program can give you all the tools you need to create a comprehensive Digital HR strategy and use technological innovation to master the future of work trends and stay ahead of the competition.